Hunting at night can be fun and thrilling! One significant advantage of being in the woods when others are tucked in bed is that there is reduced hunting pressure. This is also a good time to pull out a surprise attack on some diurnal animals in their sleep. Unfortunately, as cool as this may sound, be aware that you’ll be hunting during the natural prowling time for predators. In case they feel threatened in their domain, predators could turn the tables in a snap and decide to have you on their menu that night. Non-predatory animals could also leave you less huge chunks of meat and broken bones, only if you are lucky. For that reason, we are going to look at different ways of keeping yourself safe from wild animals when hunting at night. As you probably know, preparing for night hunting goes long before the darkness falls. One great way of thwarting any possible wild animal attacks is by knowing what beasts are likely to be in your hunting grounds other than your prey. 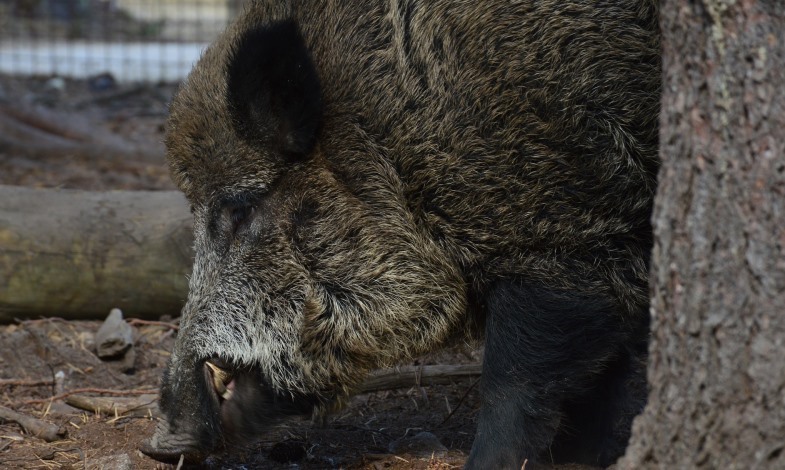 So, before you embark on your night hunting excursion in new grounds, you might want to inquire from your Local Department of Fish and Game about the animals in your hunting grounds. With this information in hand, you’ll now be able to come up with a checklist of items that you might require in case of a confrontation with a wild animal. 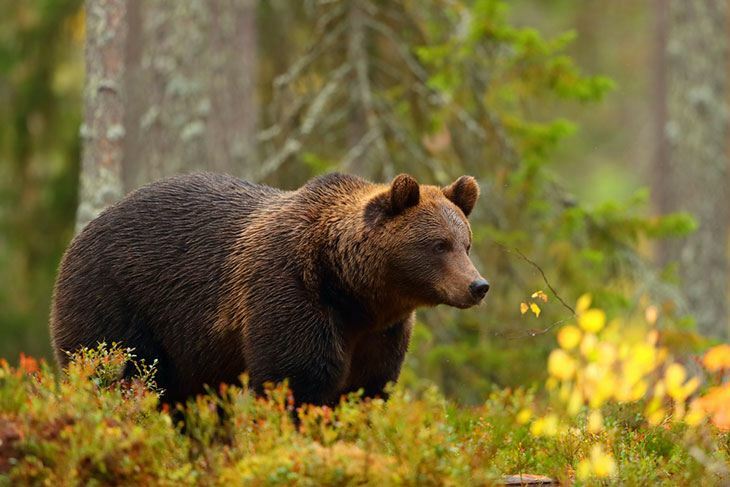 Although turning your back and running from an agitated wild animal is the last thing that you want to do, it could also be your very last line of defense. Consequently, it’s recommendable that as you scout for the best scouting grounds, be sure to find a site that offers you good coverage as well. A good suggestion here is near tree blinds. When hunting cleared fields, you might want to be near climbable trees or rocks. Most of the animals that you are likely to find roaming in the cover of darkness have extremely sharp eyesight. In case they feel that you are competing for their food sources or if they feel threatened, the chances are that they’ll start planning on how to take you down. So, you want to be sure that you can spot any approaching critter from afar. A good idea is to take a position in an elevated area overlooking a large clear field. It’s also important that you have good covering from the back to prevent surprise attacks from that side. On this note, I can’t overemphasize on the need to avoid hidden landscapes. If you set up on a high spot, but you don’t know that the terrain below has dips or rises, you could be calling for trouble. When spotlight-hunting, for instance, do know that predators will wind around you as they try to understand the source of light. So, if you lose sight of a beast that was headed your way, there is a high probability that it has your eyes on you. Of course, you have no business being in the woods without a source of light. In this scenario, I’m not actually talking about having the best thermal imaging for hunting; I mean arming yourself with a strong beam flashlight that you can use to spook a determined beast away. By the same breath, if you are relying on spotlight as your method of hunting, you’ll need to have several pairs of batteries as a backup. In most instances, an unhurt animal is less likely to launch an attack on you. However, the fully extended claws and fangs of a wounded lion or leopard are a harbinger of an unprecedented struggle. Mind you, all wild animal including non-predators can turn out to be really dangerous when in pain. Rutting white-tailed bucks, hogs, and even turkeys could cause significant injuries to you. Bottom-line: Always make your first shot a killer one. This not only saves your prey from excruciating pain and agony, but it also keeps you safe from retaliatory attacks. What happens after you’ve downed your target? The obvious thing to do is to march directly to them and start the dressing process, right? Take note though. 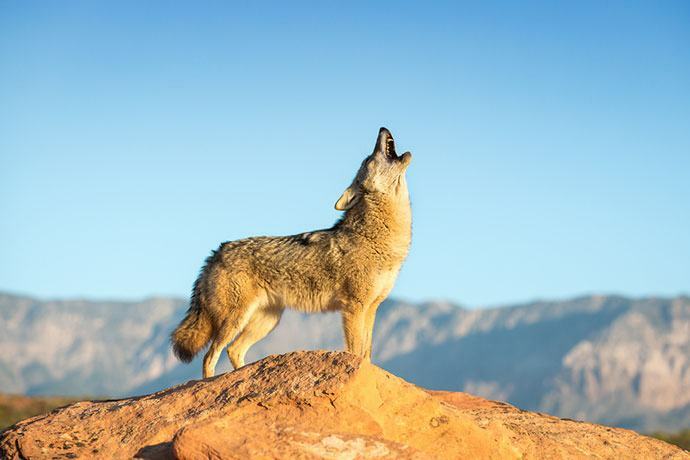 Most hunters report attacks when other predators attempted to steal their kill. 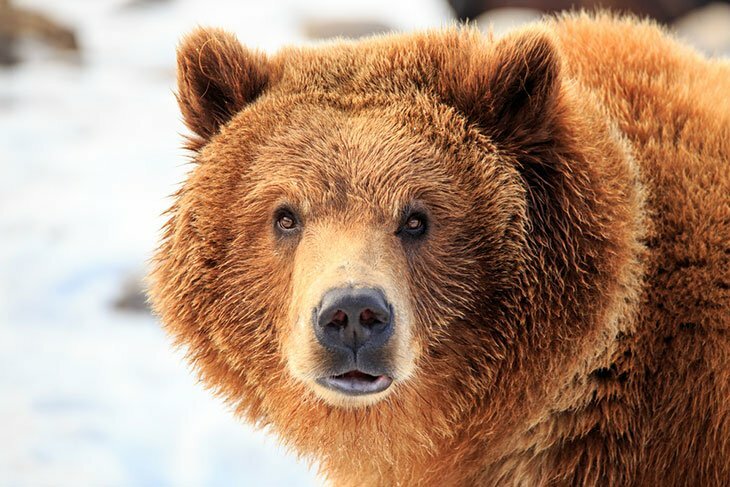 Brown bears, grizzlies, coyotes, and bobcats are all known to respond to gunshots in the woods. Consequently, you really want to be careful as you head towards the downed animal. You never know who reaches there first. As an advice, never approach a shot animal unarmed. But this does not automatically allow you to shoot protected animals such as grizzlies and bear to take what is ‘rightfully’ yours. If you can’t scare the animal away, accept defeat and back off. This might save you from an ordeal in case a confrontation ensued. 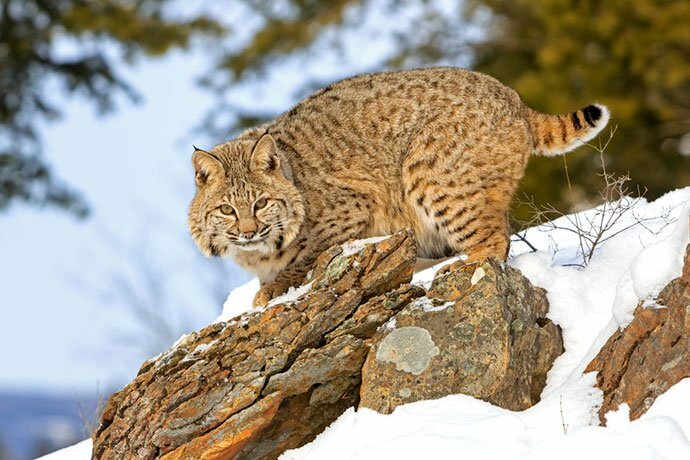 If you’ll be hunting in grounds known for wild animal attacks, especially from wild cats, hunting in pairs might be a great way to prevent possible attacks. Two pairs of eyes will give you a 360-degree view of the fields and might, therefore, guarantee some safety from an approaching critter. Perhaps the most potent threat to most wild animals is when humans and other animals, in general, get too close to their babies. Elk, deer, coyotes, lions, and feral hogs among other beasts are known to fight with their last breath as they protect their young ones. So, to avoid unnecessary confrontation, just stay away from calves, cubs, and piglets. Now, you’ll agree with me that the best way to protect yourself from wild animal attacks is by avoiding confrontations with them. The tips above will help you avoid ugly situations.